Mah Jong Adventures is your relaxing getaway from a stressful day. Embark on a Mah Jong adventure, collecting gold tiles in 18 of the world's most incredible locations. Your eccentric uncle's greatest treasure awaits you at the end of a globe spanning adventure. Use his humorous journal to locate gold tiles with the grace and swiftness of a Canadian Mountie! 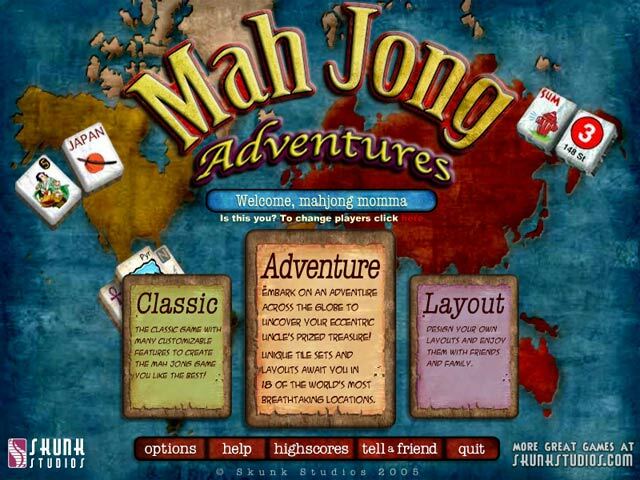 Mah Jong Adventures is your relaxing getaway from a stressful day. Start your adventure today! 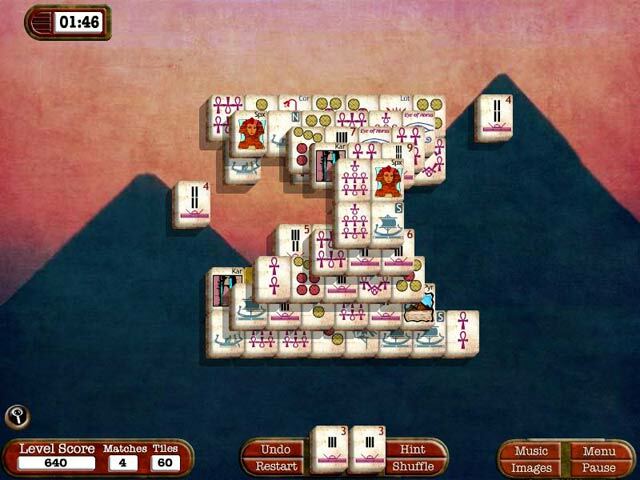 Luxor Mahjong - Embark on an epic quest to recover the stolen treasures of Egypt. 3D Magic Mahjongg - Play Mahjongg Solitaire in amazing 3D environments. 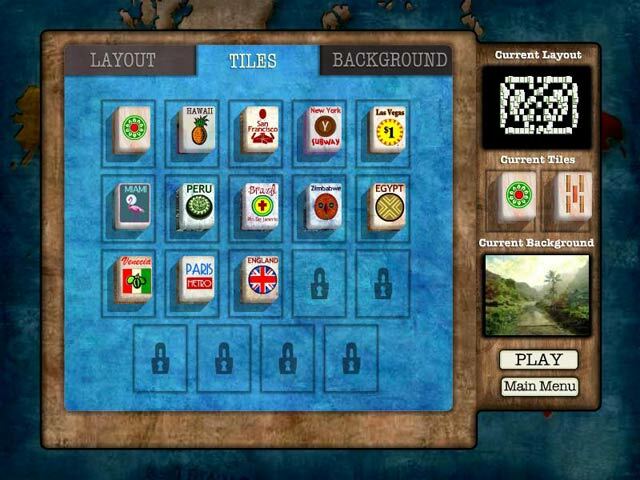 LinkTile - is the game of the similar playing MahJongg Solitaire.